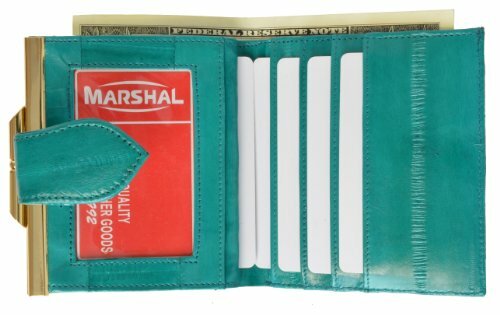 Genuine Eel Skin women�s small credit card wallet, coin compartment with snap closure Features three credit card slots, utility pocket, currency compartment and ID window Eel is proven to be 1.5 times stronger than cowhide of the same thickness. We are proud to present genuine Eel Skin the most elegant and unique leather good accessory available on the market. Because of its full grained beauty, it's strength and it's softness. Eel skin has been described as being the "Silk of the Ocean" for its unique suppleness and longevity. Whether you are buying for yourself or as a gift this Eel skin wallet is sure to please!